Silver 2013 Ford Fusion S FWD 6-Speed Automatic 2.5L iVCT 22/34 City/Highway MPG Awards: * Ward's 10 Best Engines * 2013 KBB.com Best Resale Value Awards * 2013 KBB.com 10 Best Family Cars * Green Car Journal 2013 Green Car of the Year * 2013 KBB.com 10 Best New Sedans Under $25,000 * 2013 KBB.com Brand Image Awards Based on 2017 EPA mileage ratings. Use for comparison purposes only. Your mileage will vary depending on how you drive and maintain your vehicle, driving conditions and other factors. Reviews: * Whether you want a midsize sedan that's value-oriented, engaging to drive, or boasts the highest fuel economy in its class, there is probably a version of the 2013 Fusion that fits your requirements. Source: KBB.com * Fuel-efficient turbocharged engines; sharp handling; composed ride; quiet cabin; advanced technology and safety features; eye-catching styling; available all-wheel drive. Source: Edmunds Bill Luke Santan is a family owned and operated business that has done business the right way since 1927. You can buy with confidence! Unlike our competitors, we DO NOT CHARGE for UNWANTED DEALER ADDS and our RECONDITIONING COSTS are INCLUDED in the sales price. Bill Luke Santan's price is based on Kelley Blue Book Price AdvisorTM - which allows you to see what other Arizona residents have paid for the same year, make and model of vehicle while considering vehicle mileage. See dealer for details or visit www.billlukesantan.com to see the difference for yourself! Silver 2014 Chrysler 200 LX FWD Automatic 2.4L 4-Cylinder SMPI DOHC Odometer is 22588 miles below market average! Awards: * 2014 IIHS Top Safety Pick Reviews: * If you're drawn to the attractive interior at an affordable price, like the refined level of ride and handling, and are ready to spring for the powerful V6 engine, check out the 2014 Chrysler 200. The 200 Convertible offers the only retractable hardtop within this price range. Source: KBB.com * Strong V6 engine; composed ride and handling; available convertible model. Source: Edmunds * The 2014 Chrysler 200 exemplifies sophisticated design. The lines and curves of the Chrysler 200 create a chiseled profile. A sculpted front fascia frames the signature grille and integrated halogen projector headlamps. The interior features black and chrome accents and luxurious soft-touch materials. High-quality seats provide excellent support and comfort. An available power driver's seat is adjustable in eight directions, ensuring you can always find the highest level of comfort. Easy-to-read gauges and displays keep you continuously aware and informed, and the no-nonsense center stack ensures all controls are within easy reach. Audio, Bluetooth phone and cruise controls are conveniently located on all Chrysler 200 steering wheels, minimizing driver distraction. The available Uconnect Media Center Radios let you store thousands of songs, select playlists, play videos, view photos and more. Properly equipped models let you listen to SiriusXM Satellite Radio and navigate using a full-color touchscreen display or Voice Command. The Chrysler 200 Limited features the 3.6L Pentastar V6 engine and six-speed AutoStick transmission. It delivers 283 HP and 260 pound-feet of torque. For efficient performance, the standard 173 HP 2.4L four-cylinder engine delivers fuel economy ratings of 20 city / 31 highway mpg. It is paired with the AutoStick six-speed transmission on the Chrysler 200 Touring model. Every Chrysler 200 has refined handling dynamics that provide a smooth ride and highly responsive handling. For superb driver control, stability features are standard on every model. Every Chrysler 200 is equipped with standard advanced airbag systems. Front multistage airbags deploy with appropriate force based on the severity of the impact. Side-curtain airbags provide added protection for all outboard passengers in side-impact collisions or rollover events. And front seat-mounted side airbags provide enhanced side protection for both the driver and front passenger. Source: The Manufacturer Summary Bill Luke Santan is a family owned and operated business that has done business the right way since 1927. You can buy with confidence! Unlike our competitors, we DO NOT CHARGE for UNWANTED DEALER ADDS and our RECONDITIONING COSTS are INCLUDED in the sales price. Bill Luke Santan's price is based on Kelley Blue Book Price AdvisorTM - which allows you to see what other Arizona residents have paid for the same year, make and model of vehicle while considering vehicle mileage. See dealer for details or visit www.billlukesantan.com to see the difference for yourself! NAVIGATION, 1 OWNER LEASE RETURN AND LEATHER!! Granito Lucente (Granite Crystal) 2016 Fiat 500e Battery Electric FWD Single Speed 83kW Electric Motor 121/103 City/Highway MPG Reviews: * Above-average cruising range; distinctive style; easy to park; fun to drive. Source: Edmunds Bill Luke Santan is a family owned and operated business that has done business the right way since 1927. You can buy with confidence! Unlike our competitors, we DO NOT CHARGE for UNWANTED DEALER ADDS and our RECONDITIONING COSTS are INCLUDED in the sales price. Bill Luke Santan's price is based on Kelley Blue Book Price AdvisorTM - which allows you to see what other Arizona residents have paid for the same year, make and model of vehicle while considering vehicle mileage. See dealer for details or visit www.billlukesantan.com to see the difference for yourself! PANORAMIC ROOF!!! Frosted Glass Metallic 2013 Ford Escape SE FWD 6-Speed Automatic EcoBoost 2.0L I4 GTDi DOHC Turbocharged VCT 22/30 City/Highway MPG Awards: * Ward's 10 Best Engines * 2013 KBB.com Brand Image Awards Reviews: * Standout styling, class-leading fuel economy and a robust technology package are three reasons to include the new Escape on your small-SUV shopping list. Source: KBB.com * Good performance and fuel efficiency; many high-tech features; agile handling; high-quality cabin; comfortable seating. Source: Edmunds Bill Luke Santan is a family owned and operated business that has done business the right way since 1927. You can buy with confidence! Unlike our competitors, we DO NOT CHARGE for UNWANTED DEALER ADDS and our RECONDITIONING COSTS are INCLUDED in the sales price. Bill Luke Santan's price is based on Kelley Blue Book Price AdvisorTM - which allows you to see what other Arizona residents have paid for the same year, make and model of vehicle while considering vehicle mileage. See dealer for details or visit www.billlukesantan.com to see the difference for yourself! MOON ROOF, 1 OWNER LEASE RETURN, NAVIGATION AND LEATHER!! Nero Puro (Straight Black) 2015 Fiat 500e Battery Electric FWD Single Speed 83kW Electric Motor Odometer is 2906 miles below market average! 122/108 City/Highway MPG Reviews: * If you're looking for something practical, affordable and efficient but not boring, the 2015 Fiat 500 subcompact is a viable alternative to the Nissan Versa Note, Scion iQ or Honda Fit. The Abarth model will give the Mini Cooper a run for its money, too. Source: KBB.com * Impressive cruising range; recharges quickly at 240-volt outlets; quicker acceleration than the base gasoline-powered 500; fun to drive for an electric car. Source: Edmunds * Because Fiat loves design as much as the Earth, they have developed the all-electric FIAT 500e which yields zero tailpipe emissions without compromising style. The 500e incorporates nine aerodynamic refinements that ultimately increase overall vehicle range. These include an aerodynamically-enhanced spoiler, a diffuser that carries on from the underbody, optimizing the airflow output, as well as the front fascia which has been lowered for increased aerodynamic efficiency. The 500e shifter is far from the traditional automatic transmission shifter. Instead, the FIAT 500e uses a convenient electronic push button shifter. The 500e TomTom navigation system is unique for this vehicle. The TomTom navigation system offers a hand-held navigation unit, a part of the BLUE&ME communication technology developed with Microsoft. With a touchscreen, it displays maps, real time traffic, weather, and more than 7 million points of interest. The 500e battery must be periodically recharged. A Level 1 (120v) charger comes standard with the vehicle and needs to be plugged into a dedicated electrical outlet. A Level 2 (240v) charger, which can be installed in your home, is also commonly found at public charging stations. A Level 2 charger can recharge from empty to full in less than 4 hours while an on-the-go Level 1 charger will give you an average of 9 to 10 miles of range every 3 hours bringing you to full battery power in less than 24 hours. The lithium-ion battery is full of benefits delivering 111hp and 147 lb-ft of torque. It is able to deliver up to 122MPGe city and 108MPGe hwy with a range of up to 87 miles It has no memory effect, which means that you do not have to completely discharge it before recharging, as with some other batteries. Source: The Manufacturer Summary Bill Luke Santan is a family owned and operated business that has done business the right way since 1927. You can buy with confidence! Unlike our competitors, we DO NOT CHARGE for UNWANTED DEALER ADDS and our RECONDITIONING COSTS are INCLUDED in the sales price. Bill Luke Santan's price is based on Kelley Blue Book Price AdvisorTM - which allows you to see what other Arizona residents have paid for the same year, make and model of vehicle while considering vehicle mileage. See dealer for details or visit www.billlukesantan.com to see the difference for yourself! 1 OWNER!! White 2016 Kia Rio LX FWD 6-Speed Automatic 1.6L I4 DGI 16V 27/38 City/Highway MPG Bill Luke Santan is a family owned and operated business that has done business the right way since 1927. You can buy with confidence! Unlike our competitors, we DO NOT CHARGE for UNWANTED DEALER ADDS and our RECONDITIONING COSTS are INCLUDED in the sales price. Bill Luke Santan's price is based on Kelley Blue Book Price AdvisorTM - which allows you to see what other Arizona residents have paid for the same year, make and model of vehicle while considering vehicle mileage. See dealer for details or visit www.billlukesantan.com to see the difference for yourself! TURBO AND LEATHER!! Red 2014 Hyundai Veloster FWD 6-Speed Automatic 1.6L I4 DGI DOHC 16V Awards: * 2014 KBB.com 10 Coolest New Cars Under $18,000 Reviews: * Lots of features for the money; distinctive styling; fuel-efficient engines; lengthy warranty. Source: Edmunds * If your budget is limited to around $25K, but you want something smart, stylish and totally unique, the 2014 Hyundai Veloster delivers it in an affordable, fun and fuel-efficient package. You can even get a slick 6-speed manual transmission - an increasingly rare feature these days. Source: KBB.com * Named the best new car of 2012 by About.com the Hyundai Veloster is back and comes in 3 unique trims, Veloster, Turbo, and Turbo R-Spec for the 2014 edition. Designed to look like nothing else on the road, the bold 3-door design, LED headlight accents and raking contour lines make Veloster instantly recognizable. The Turbo includes standard 18-inch alloy wheels, round chrome-tipped dual exhaust, and a special wide-mouthed grille. With expressive styling and smart features like the stealth third door, the result offers the look of a sporty coupe with the added benefit of easy access for rear-seat passengers. The Veloster's unique 3-door design with glass rear hatch and available panoramic sunroof combine to impressive effect by giving Veloster a roomy and enjoyable interior. There's also split fold-down rear seatbacks to make room for gear for those great adventures. The available 450-watt Dimension AM/FM/SiriusXM Satellite Radio/CD/MP3 audio system delivers plenty of power with 8 speakers - including an 8-inch subwoofer. Access all of your information, navigation, and entertainment options via a multimedia LCD touchscreen that measures 7 inches - the largest in its class. You'll be amazed by Veloster's 1.6L GDI engine. It's both strong and efficient, generating up to 138 horsepower and delivering up to an EPA-estimated 35 MPG Highway. The Veloster Turbo uses the same GDI technology combined with a twin-scroll turbo to give it 201 horsepower and an excellent weight-to-horsepower ratio while still delivering an incredible EPA-estimated 33 MPG Highway. Hyundai's innovative Blue Link in-car wireless connectivity system offers amazing information, entertainment, technology and safety features. From advanced voice recognition that lets you search points of interest to SOS Emergency Assistance. Blue Link can also start your Veloster via a mobile phone app, a toll-free number or the Owner's Website, provided you have push button start as well. 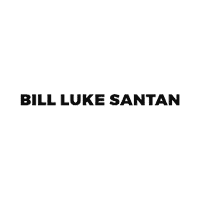 Source: The Manufacturer Summary Bill Luke Santan is a family owned and operated business that has done business the right way since 1927. You can buy with confidence! Unlike our competitors, we DO NOT CHARGE for UNWANTED DEALER ADDS and our RECONDITIONING COSTS are INCLUDED in the sales price. Bill Luke Santan's price is based on Kelley Blue Book Price AdvisorTM - which allows you to see what other Arizona residents have paid for the same year, make and model of vehicle while considering vehicle mileage. See dealer for details or visit www.billlukesantan.com to see the difference for yourself! 2014 Ford Escape SE FWD 6-Speed Automatic EcoBoost 1.6L I4 GTDi DOHC Turbocharged VCT 23/32 City/Highway MPG Awards: * 2014 KBB.com 10 Best SUVs Under $25,000 * 2014 KBB.com Brand Image Awards Reviews: * Get-noticed styling, great fuel economy and a powerful technology package are three good reasons you might find the Ford Escape is just what you want in a small crossover. Source: KBB.com * Good performance and fuel efficiency; many high-tech features; agile handling; high-quality cabin; comfortable seating. Source: Edmunds * The second year into it's gorgeous new look, the 2014 Escape is a Compact SUV that is an absolute head turner. A major departure from its previous generation, this Escape is refreshingly modern with sporty attitude. Further, the interior of the escape showcases impressive design, and high quality materials. It is one of the leaders in its segment for gas mileage, styling, and great technology as well. There are three trims available for the 2014 Escape: S, SE, and Titanium. Standard on all 3 models, is a generous assortment of standard features. You get a 6-Speed SelectShift Automatic, Power Windows and Door Locks, a Storage Bin under the floor, Touch Controls on the Steering Wheel, and Flat Fold Rear Seats. Plus, it comes with a 6 Speaker, AM FM Radio with CD, MP3 and Auxiliary Input, and a Communication and Entertainment System. The Base S Trim comes with a 2.5-Liter, 4-Cylinder Engine with 168 Horsepower that gets an EPA estimated 22 MPG in the City and 31 MPG on the Highway. Plus the base also comes standard with the MyKey system for parents of younger drivers. The SE and Titanium come standard with a 1.6-Liter EcoBoost engine, with an optional 2.0-Liter EcoBoost I-4 engine available instead. Bought as a two-wheel drive, the 1.6-Liter gets an EPA Estimated 23 MPG City and 33 MPG Highway, while the 2.0-Liter gets 22 MPG City and 30 MPG Highway. The S Trim can only be purchased as a two-wheel drive but the other two models give you the option of four-wheel drive as well. In terms of Safety, all models are standard equipped with Front and Rear Anti-Lock Brakes, AdvanceTrac with Roll Stability Control, and a Rear View Camera Come experience the 2014 Ford Escape for yourself today! Source: The Manufacturer Summary Bill Luke Santan is a family owned and operated business that has done business the right way since 1927. You can buy with confidence! Unlike our competitors, we DO NOT CHARGE for UNWANTED DEALER ADDS and our RECONDITIONING COSTS are INCLUDED in the sales price. Bill Luke Santan's price is based on Kelley Blue Book Price AdvisorTM - which allows you to see what other Arizona residents have paid for the same year, make and model of vehicle while considering vehicle mileage. See dealer for details or visit www.billlukesantan.com to see the difference for yourself! Shadow Black 2018 Ford Fiesta SE FWD 1.6L I4 Ti-VCT Bill Luke Santan is a family owned and operated business that has done business the right way since 1927. You can buy with confidence! Unlike our competitors, we DO NOT CHARGE for UNWANTED DEALER ADDS and our RECONDITIONING COSTS are INCLUDED in the sales price. Bill Luke Santan's price is based on Kelley Blue Book Price AdvisorTM - which allows you to see what other Arizona residents have paid for the same year, make and model of vehicle while considering vehicle mileage. See dealer for details or visit www.billlukesantan.com to see the difference for yourself! Pure White 2016 Volkswagen e-Golf SE FWD Single-Speed Automatic 85KW 115HP Electric 126/105 City/Highway MPG Reviews: * Outstanding cabin materials and construction; superior ride and quietness; low center of gravity delivers impressive grip and handling; just as much cargo capacity as other Golfs; new lower-price base model. Source: Edmunds Bill Luke Santan is a family owned and operated business that has done business the right way since 1927. You can buy with confidence! Unlike our competitors, we DO NOT CHARGE for UNWANTED DEALER ADDS and our RECONDITIONING COSTS are INCLUDED in the sales price. Bill Luke Santan's price is based on Kelley Blue Book Price AdvisorTM - which allows you to see what other Arizona residents have paid for the same year, make and model of vehicle while considering vehicle mileage. See dealer for details or visit www.billlukesantan.com to see the difference for yourself! LEATHER!!! Champagne Silver Metallic 2015 Chevrolet Malibu LTZ 1LZ FWD 6-Speed Automatic Electronic with Overdrive ECOTEC 2.5L I4 DGI DOHC VVT Odometer is 9093 miles below market average! 25/36 City/Highway MPG Awards: * JD Power Initial Quality Study * 2015 IIHS Top Safety Pick Reviews: * If you want solid family transportation with the unfettered entertainment options that only come from the Internet, the 2015 Chevrolet Malibu may be the answer to your midsize sedan prayers. Source: KBB.com * Outstanding crash test scores; well-appointed interior; comfortable ride; strong turbocharged engine. Source: Edmunds * The 2015 Malibu pulled it off in more ways than one. A perfect balance of attractive styling, smart technology and fuel efficiency with EPA est. 36 MPG hwy, all built into a confident driving experience. The enhanced front-end appearance draws you in. Swept-back headlamps aid aerodynamics and a more prominent grille accented in chrome boasts wider openings for improved cooling. Aero-optimized rounded corners, taillamps and side mirrors allow the car to effortlessly slice through the air. Aerodynamic details guide airflow seamlessly around the vehicle body to help increase fuel efficiency by decreasing resistance. The power starts at the heart of the vehicle through the all-new ECOTEC 2.5L four cylinder engine with direct injection and 196hp (LS, LT and LTZ) or opt for the available 259hp turbocharged engine with 295lb.-ft. of torque. It's all the fun without extra fill-ups, thanks to 30 MPG HWY. While maintaining its sophisticated dual-cockpit design, the sport-sculpted seats allow for long-distance comfort. Available Chevrolet MyLink allows you to customize the system to best fit your needs. Make phone calls, select radio stations, choose music from your mobile device and more through voice command, touch-screen, center stack buttons and steering wheel-mounted controls. Take navigation to the next level with on-screen OnStar Navigation. You can step it up another notch with the enhanced Chevrolet MyLink radio with navigation, which includes full navigation features as well as 2-D/3-D maps and points of interest. New for 2015 is the inclusion of an available 4G LTE Wifi connection. This can turn the car into a Wi-Fi hotspot to allow you to stream music, search for restaurants, and stay connected everywhere. Source: The Manufacturer Summary Bill Luke Santan is a family owned and operated business that has done business the right way since 1927. You can buy with confidence! Unlike our competitors, we DO NOT CHARGE for UNWANTED DEALER ADDS and our RECONDITIONING COSTS are INCLUDED in the sales price. Bill Luke Santan's price is based on Kelley Blue Book Price AdvisorTM - which allows you to see what other Arizona residents have paid for the same year, make and model of vehicle while considering vehicle mileage. See dealer for details or visit www.billlukesantan.com to see the difference for yourself! 1 OWNER LEASE RETURN, NAVIGATION AND LEATHER!!! Morningsky Blue 2015 Nissan Leaf SL FWD Single Speed Reducer 80kW AC Synchronous Motor Odometer is 1588 miles below market average! 126/101 City/Highway MPG Awards: * 2015 KBB.com 10 Best Green Cars Bill Luke Santan is a family owned and operated business that has done business the right way since 1927. You can buy with confidence! Unlike our competitors, we DO NOT CHARGE for UNWANTED DEALER ADDS and our RECONDITIONING COSTS are INCLUDED in the sales price. Bill Luke Santan's price is based on Kelley Blue Book Price AdvisorTM - which allows you to see what other Arizona residents have paid for the same year, make and model of vehicle while considering vehicle mileage. See dealer for details or visit www.billlukesantan.com to see the difference for yourself! 1 OWNER LEASE RETURN, NAVIGATION AND MY FORD TOUCH!!! Shadow Black 2016 Ford Fiesta SE FWD 1.6L I4 Ti-VCT Odometer is 18272 miles below market average! Awards: * 2016 KBB.com Brand Image Awards Reviews: * Sporty handling; well-appointed interior with advanced technology options; peppy and fuel-efficient EcoBoost engine; ST model's zesty performance. Source: Edmunds Bill Luke Santan is a family owned and operated business that has done business the right way since 1927. You can buy with confidence! Unlike our competitors, we DO NOT CHARGE for UNWANTED DEALER ADDS and our RECONDITIONING COSTS are INCLUDED in the sales price. Bill Luke Santan's price is based on Kelley Blue Book Price AdvisorTM - which allows you to see what other Arizona residents have paid for the same year, make and model of vehicle while considering vehicle mileage. See dealer for details or visit www.billlukesantan.com to see the difference for yourself! NAVIGATION, LEATHER, MOONROOF, HEATED SEATS AND BACKUP CAMERA!! White 2009 Nissan Murano S AWD CVT with Xtronic 3.5L V6 DOHC 24V Awards: * 2009 KBB.com Brand Image Awards Bill Luke Santan is a family owned and operated business that has done business the right way since 1927. You can buy with confidence! Unlike our competitors, we DO NOT CHARGE for UNWANTED DEALER ADDS and our RECONDITIONING COSTS are INCLUDED in the sales price. Bill Luke Santan's price is based on Kelley Blue Book Price AdvisorTM - which allows you to see what other Arizona residents have paid for the same year, make and model of vehicle while considering vehicle mileage. See dealer for details or visit www.billlukesantan.com to see the difference for yourself! MOON ROOF, NAVIGATION AND 1 OWNER!! Ruby Red Metallic Tinted Clearcoat 2017 Ford Fiesta SE FWD 5-Speed Manual 1.6L I4 Ti-VCT Odometer is 27589 miles below market average! Awards: * 2017 KBB.com 10 Most Awarded Brands * 2017 KBB.com Brand Image Awards Reviews: * Sporty handling when going around turns; well-appointed interior with advanced technology options; peppy and fuel-efficient EcoBoost engine; ST model's zesty performance. Source: Edmunds Bill Luke Santan is a family owned and operated business that has done business the right way since 1927. You can buy with confidence! Unlike our competitors, we DO NOT CHARGE for UNWANTED DEALER ADDS and our RECONDITIONING COSTS are INCLUDED in the sales price. Bill Luke Santan's price is based on Kelley Blue Book Price AdvisorTM - which allows you to see what other Arizona residents have paid for the same year, make and model of vehicle while considering vehicle mileage. See dealer for details or visit www.billlukesantan.com to see the difference for yourself! PANORAMIC MOONROOF AND 1 OWNER LEASE RETURN!! White 2013 Toyota Prius FWD CVT 1.8L 4-Cylinder DOHC 16V VVT-i 51/48 City/Highway MPG Awards: * 2013 KBB.com Best Resale Value Awards * 2013 KBB.com Brand Image Awards Reviews: * Superior fuel economy; abundant backseat room; spacious cargo area; comfortable ride; available high-tech luxury goodies; strong safety scores. Source: Edmunds Bill Luke Santan is a family owned and operated business that has done business the right way since 1927. You can buy with confidence! Unlike our competitors, we DO NOT CHARGE for UNWANTED DEALER ADDS and our RECONDITIONING COSTS are INCLUDED in the sales price. Bill Luke Santan's price is based on Kelley Blue Book Price AdvisorTM - which allows you to see what other Arizona residents have paid for the same year, make and model of vehicle while considering vehicle mileage. See dealer for details or visit www.billlukesantan.com to see the difference for yourself! 1 OWNER LEASE RETURN!! White 2016 Nissan Leaf S FWD Single Speed Reducer 80kW AC Synchronous Motor Odometer is 15387 miles below market average! 126/101 City/Highway MPG Bill Luke Santan is a family owned and operated business that has done business the right way since 1927. You can buy with confidence! Unlike our competitors, we DO NOT CHARGE for UNWANTED DEALER ADDS and our RECONDITIONING COSTS are INCLUDED in the sales price. Bill Luke Santan's price is based on Kelley Blue Book Price AdvisorTM - which allows you to see what other Arizona residents have paid for the same year, make and model of vehicle while considering vehicle mileage. See dealer for details or visit www.billlukesantan.com to see the difference for yourself!